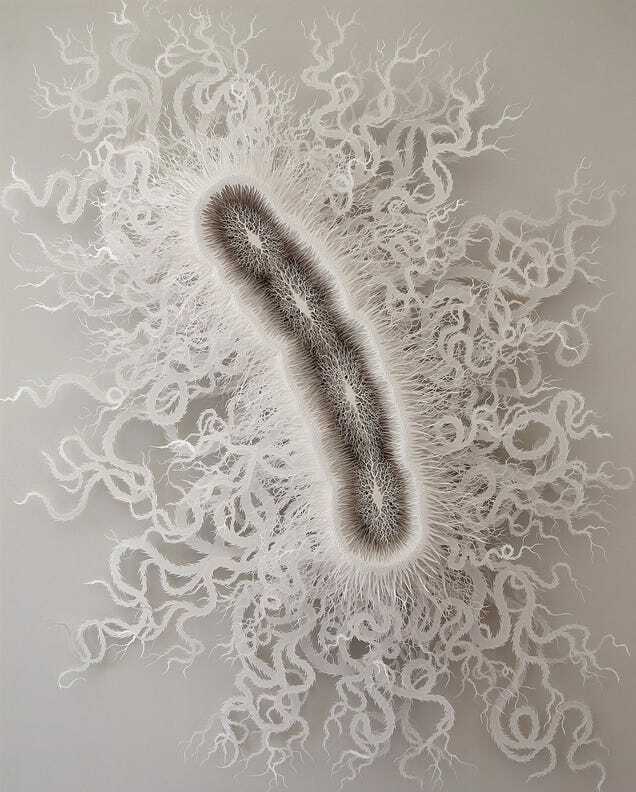 These images show how a bacteria looks under a microscope. 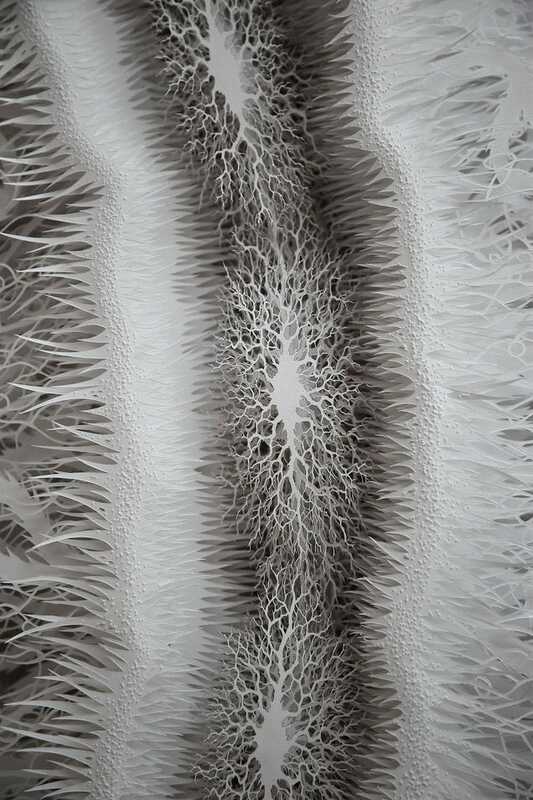 But that doesn't mean Artist Rogan Brown used a microscope obtain them. That would be too easy. 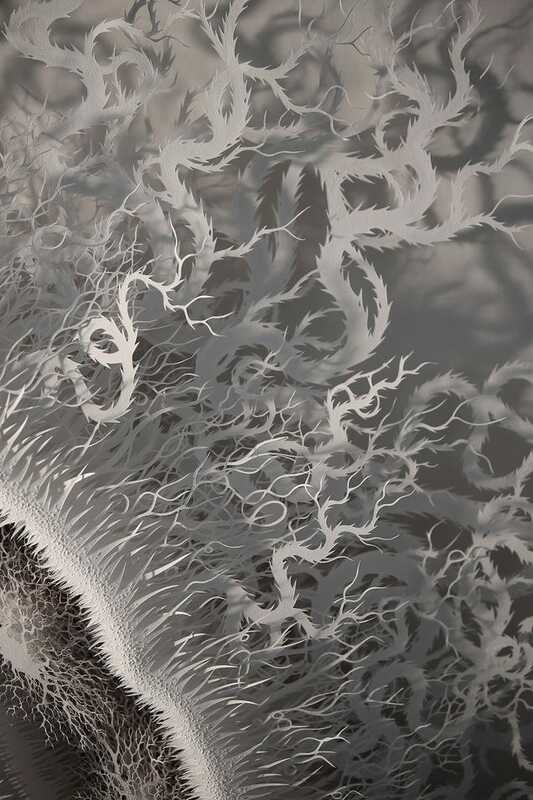 Instead, he spent four months cutting sheet after sheet of paper with a scalpel knife and ended up with this insanely intricate and astonishing sculpture. 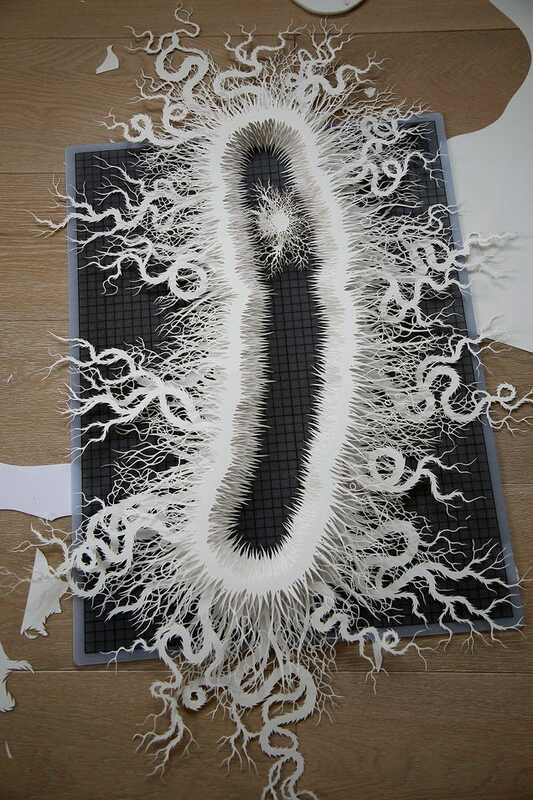 At over 112 centimeters or 44 inches in length this hand cut sculpture of a bacterium is half a million times bigger than the real thing. 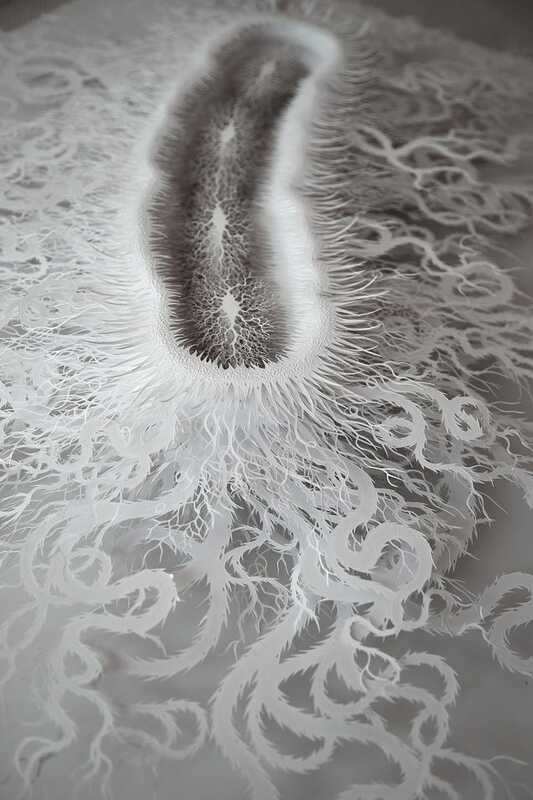 Obviously when enlarging to this degree you have to use your imagination to complete the image but the main features here are accurate: the flagella or tentacle-like appendages allow the bacteria to swim through the intestinal tract and the pilli or hair-like structures allow it to attach itself to the intestine wall. You can follow Rogan on Facebook and check out his work on his website.